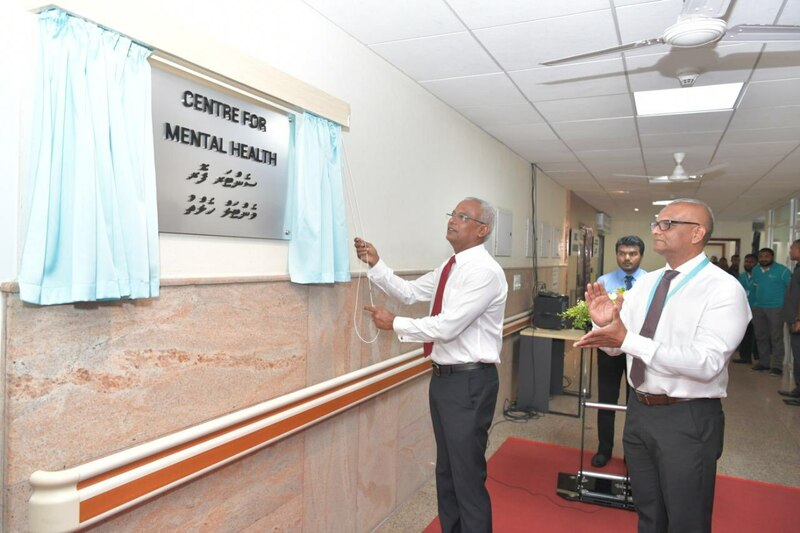 As part of this government’s fulfilling its 100 day pledges, President Ibrahim Mohamed Solih has launched the IGMH centre for mental health, at a ceremony held this morning on the hospital’s grounds. The mental health centre will cater to individuals who are enduring mental health issues, and will provide support services to them and their families. In addition to providing in-patient, out-patient, and emergency services, the centre will utilize a multidisciplinary approach in order to treat various mental health issues encompassing various psychological support services, counselling, and medication. In order to ensure that treatment for mental health issues is available across the entire country, the centre will provide services through its Outpatient Department. 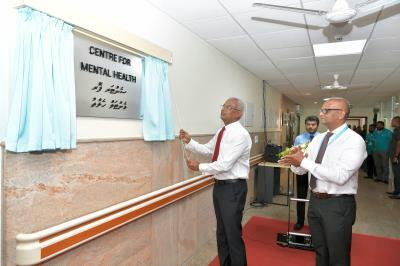 Furthemore, the government will station mental health coordinators on every atoll. It is the firm belief of the government that there should be no stigma around mental health. Just as individuals with other kinds of ailments affecting other parts of their body require treatment in order to recover, those who have mental health issues also require care and support. It is our hope and firm intention that the inauguration of this centre will go a long way towards ensuring that mental health issues are given the importance they deserve and that those who have need of treatment, receive a much needed helping hand.